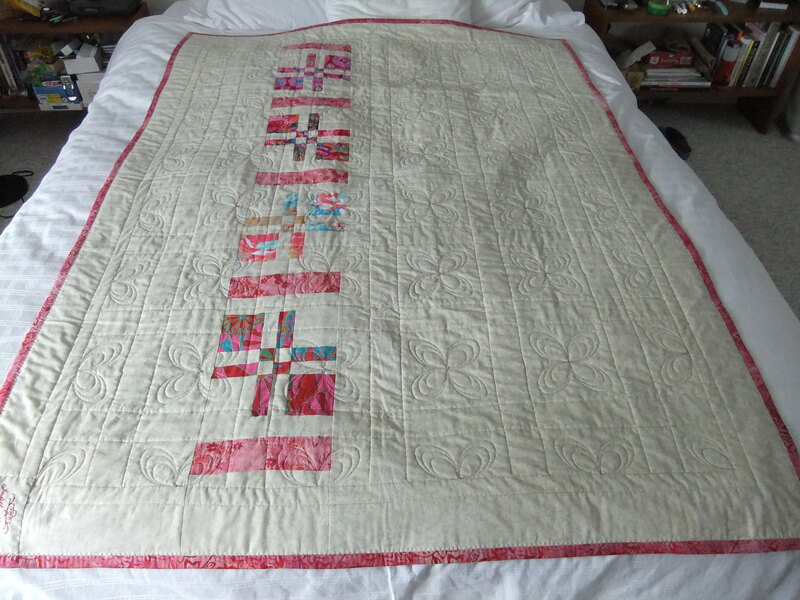 Just got the Pinterest Weekly and found a quilt I’d made (photographed on my bed) attributed to someone else! 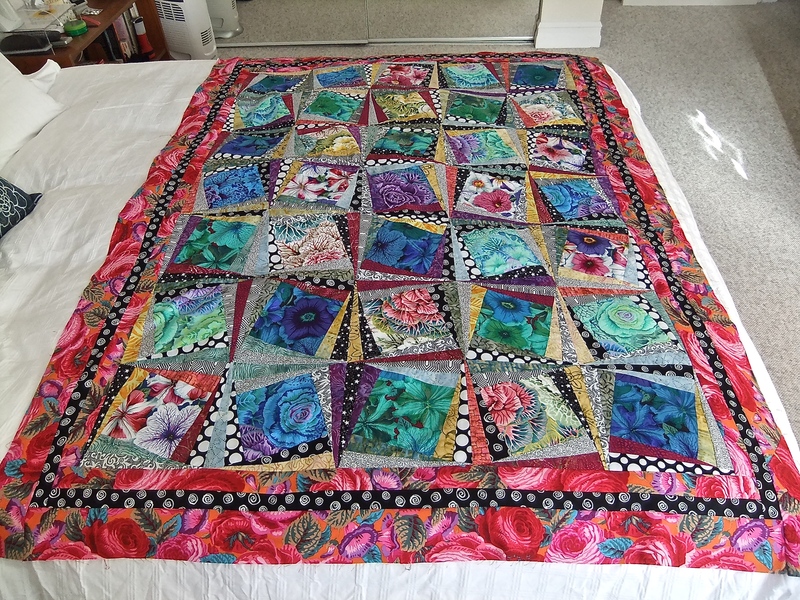 I thought I ought to set the record straight: I have done seven quilts, either using Kaffe Fassett fabrics, or based on photos of his quilts I’ve found online. 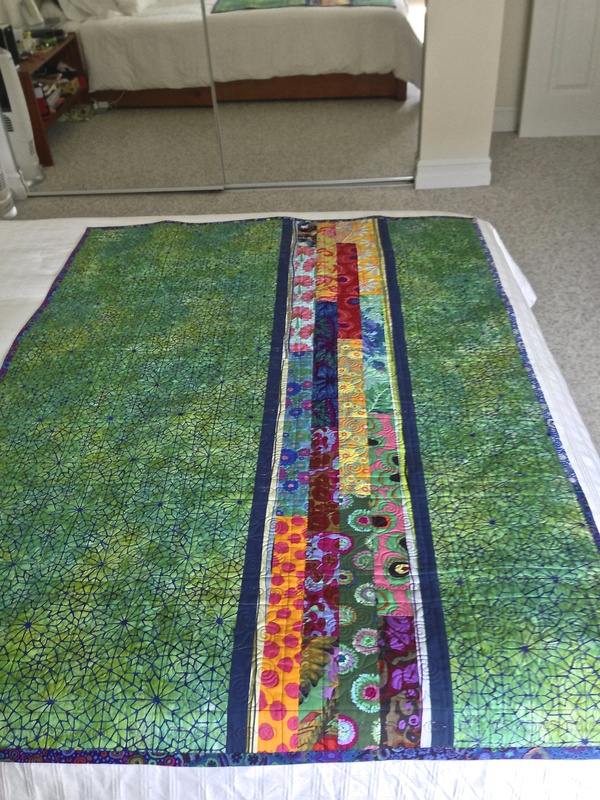 #1: At the time I didn’t have any Kaffe Fassett fabrics so I took his idea (which I’d seen online) and made it using batiks I had in my stash. The backing is a single fabric. #2: I had no sooner started #1 when I realized I could do something more with the way the colours were assembled and started #2 – setting it up to tell a colour story. The back of this quilt is also a single fabric. 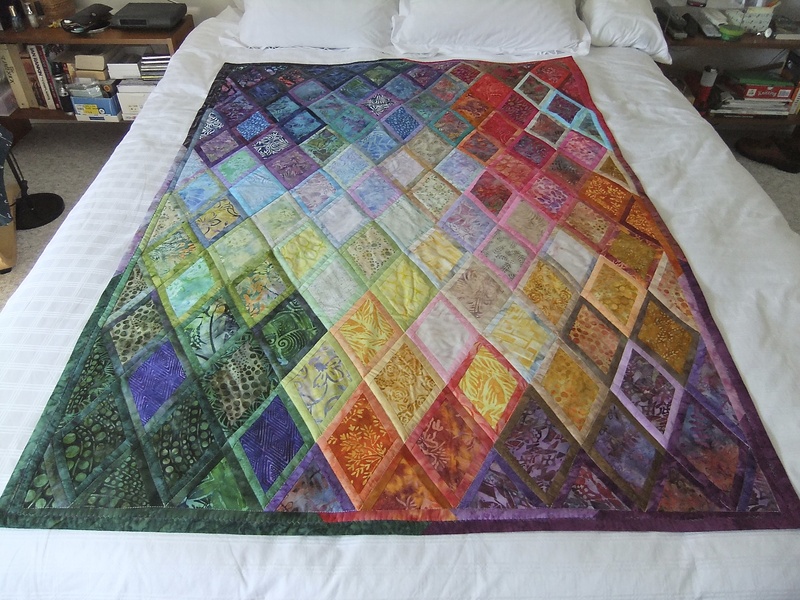 #3: The idea of a colour story grew when I came across the Kaffe Fassett diamonds quilt – this quilt has 650+ pieces including diamonds and borders and partial diamonds on the outer edges. Back of quilt is still a single fabric. 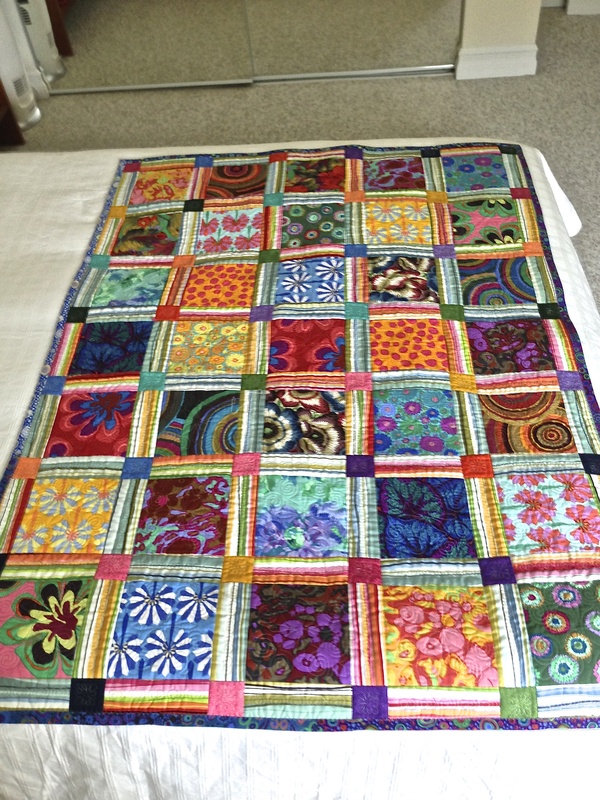 #4: This quilt uses Kaffe Fassett fabrics but is built on a vanishing 4-patch. 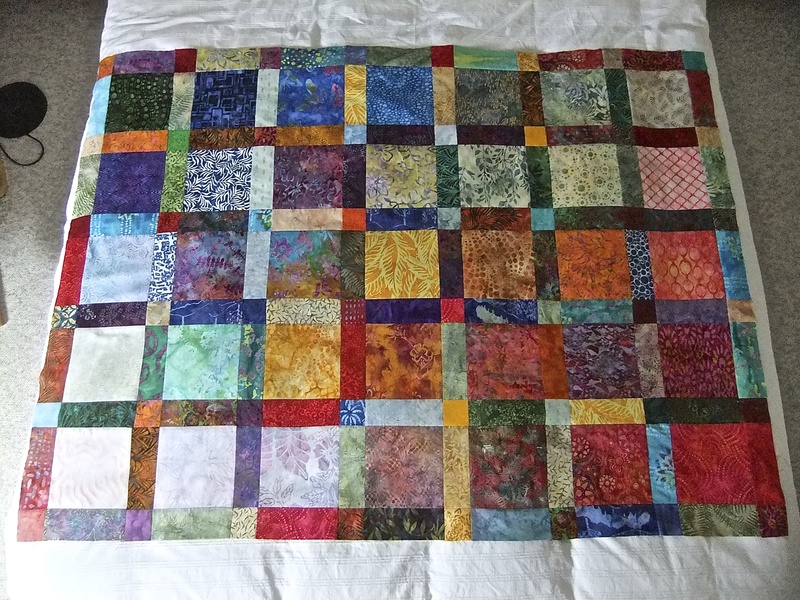 This was one of the first quilts where I did something interesting on the second side – I had to because the quilt was wider than WOF (width of fabric) and I needed more width than my backing fabric provided. 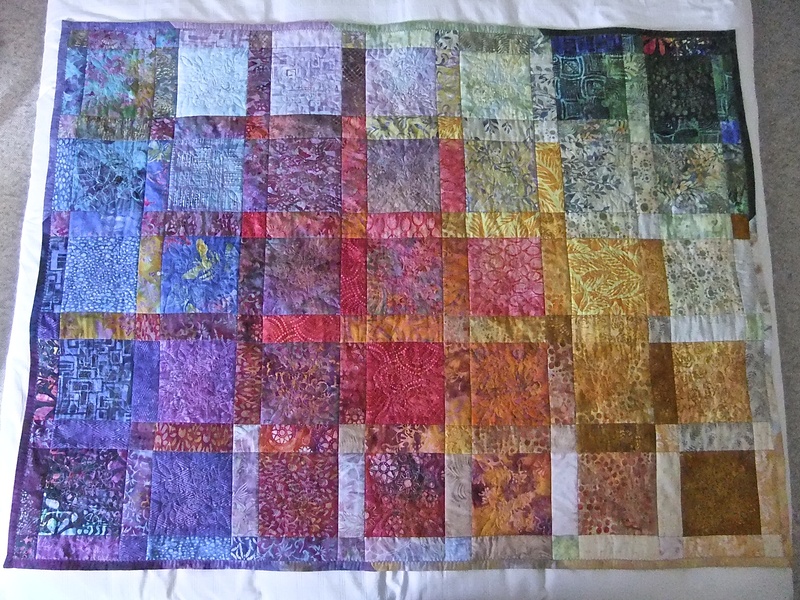 #5: A Kaffe Fassett idea (from one of his books – although I worked entirely from an image on Pinterest) using batik fabric from my stash. The back of this quilt is a single run of fabric. 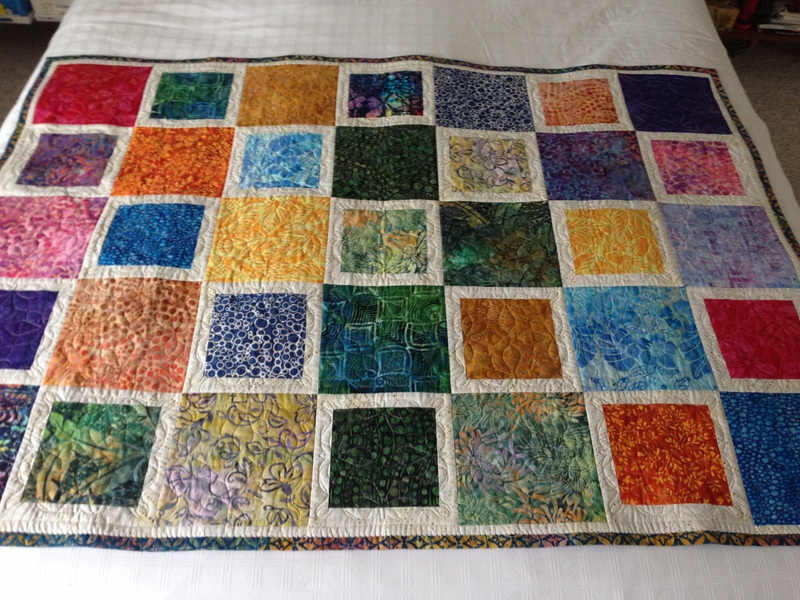 #6: This is the quilt I found on Pinterest attributed to someone else! It’s both Kaffe Fassett fabrics for the squares as well as based on a Kaffe Fassett quilt (again from an image of a quilt he did which I found online). 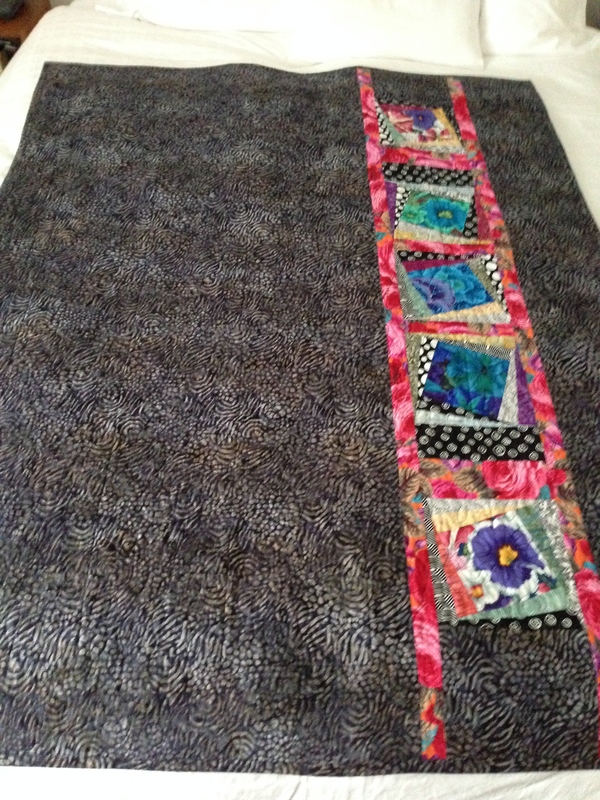 This quilt has a pieced second side using left over bits of fabric from the top using a “jellyroll race” technique to make the inserted strip. 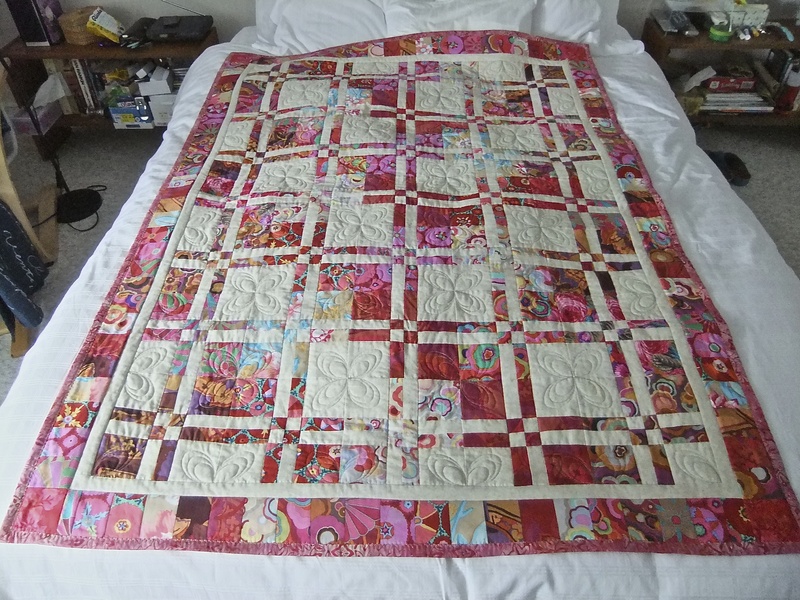 #7: This quilt uses Kaffe Fassett fabrics for the central squares of each block – it isn’t a Kaffe Fassett design, I don’t believe. Again the inspiration came from a photo I found online. The back is also pieces using leftover blocks from the front of the quilt.